Matching the right ring to your outfit might look easy, mostly because this accessory looks too small to pay too much attention to. The truth is that it can make the difference. Get the right unit and you will draw compliments like a magnet. Guliette Verona is known for its sparkling pieces of jewelry and this one makes no exception. It is available in several sizes and varieties – mostly regarding the finishing. Other varieties are sold as different products though. Rhodium and Sterling Silver Everywhere. The unit is plated with rhodium for a flawless shininess. In terms of finishing, it comes in yellow, rose and white. As for the actual material, it is made of 0.925 sterling silver – 92.5% silver and 7.5% copper. The copper is added for extra durability, yet it does not affect the silver brightness. It comes in 10 sizing standards – from 3 to 12. Moreover, it measures 14 millimeters in width. Cubic Zirconia for Impression. Cubic zirconia may not be a solid diamond, but it is as close as possible to it. Unless you show this ring to a jeweler, no one can tell the difference. There are 17 stones used for the design of this ring. They are round and synthetic, so they are made in a laboratory. Once again, this aspect is not relevant. As for the total gem weight, you got grams of cubic zirconia, making this ring a cost efficient investment. 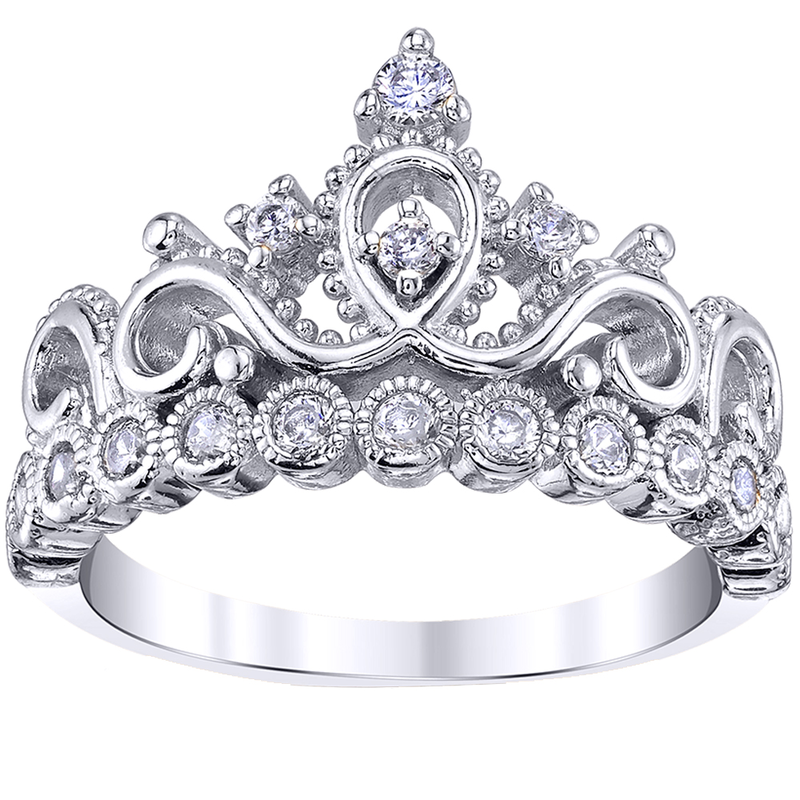 Guliette Verona Sterling Silver Princess Crown Ring is a statement. If you love drawing attention without spending a fortune, this model underlines a high level of luxury at a cost efficient rate. 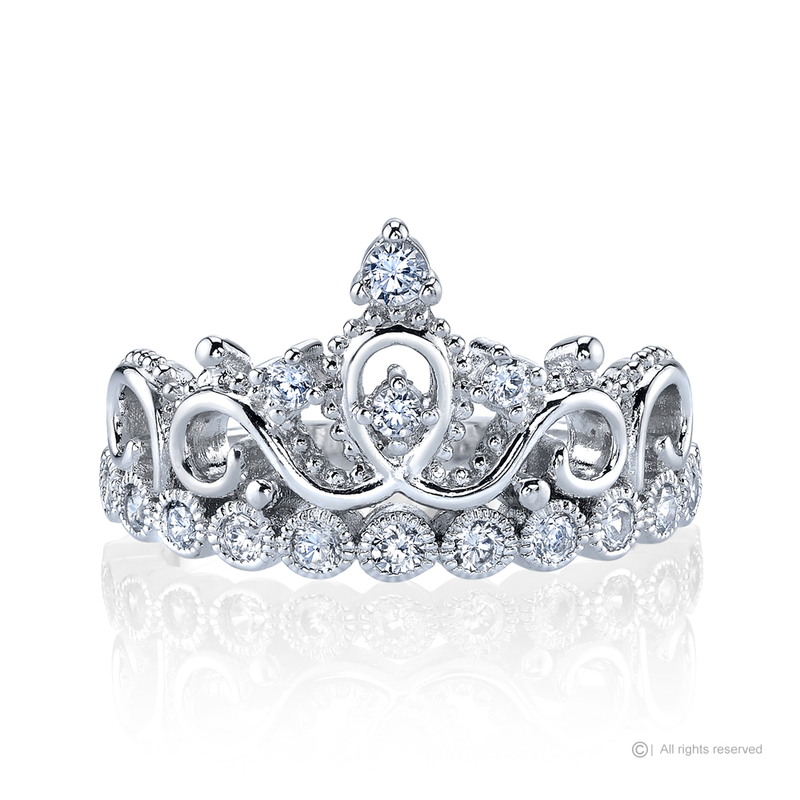 925 Sterling Silver Princess Crown Ring is a statement. If you love drawing attention without spending a fortune, this model underlines a high level of luxury at a cost efficient rate. This beautiful sterling silver crown ring / princess ring resembles the woman who wears it. It is covered in 17 cubic zirconia's, giving it a beautiful shine! 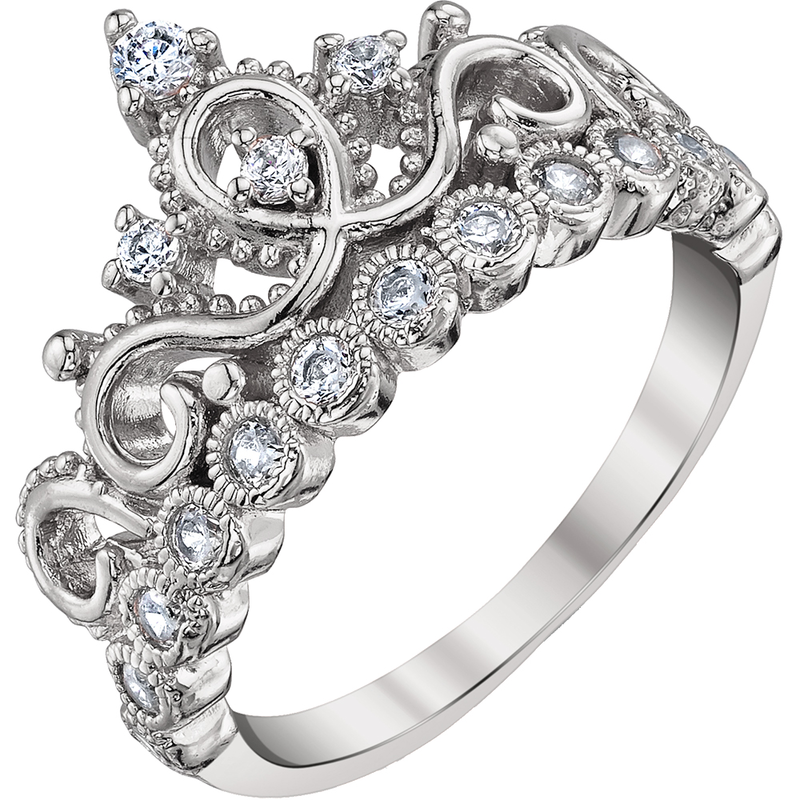 Guliette Verona Sterling Silver Princess Crown Ring might be the ideal choice. Sterling silver and a crown design make this ring excellent for that special lady who wants to feel like a princess – or perhaps a queen. This unit resembles the lady who wears it, so, what should you expect from it? All Guliette Verona rings come with our beautiful pink ring box. This makes for the perfect gift, or personal keepsake to keep your crown ring safe and protected when not being worn. Welcome to the JEWELS OBSESSION Online Store! Discover the sophisticated fashion designs for men’s and women’s jewelry by the JEWELS OBSESSION brand. Our collections offer everything for a stylish jewelry including pendants, rings, necklaces, wedding sets, bracelets, religious jewelry, gold. We make all jewelry in 14k gold, rhodium plated 925 sterling silver, gold plated sterling silver, and high quality diamonds, and gemstones. With gold and silver volatile market, prices of our items can change at anytime and without notice. Achieve stylish sophistication with JEWELS OBSESSION through exquisite materials and high fashion jewelry designs.